In response to the current global context in which people around the world are facing increasing attacks on their basic freedoms, and a culture of division is causing many of us to turn against each other, a campaign with the title ‘’SPEAK’’ has been created to raise awareness, break down barriers and build global solidarity. The campaign has been developed by CIVICUS: World Alliance for Citizen Participation. Under this campaign, Da Hawwa Lur hosted a one day activity named ‘’Waging Peace through Dialogue’’ to highlight the importance of peace and to develop strategies by youth for peace building in communities and country as a whole. The event featured an open forum dialogue among the youth from different ethnicities, communities, faiths and backgrounds. The young individuals were involved through different interactive activities and were asked to present their recommendations and ideas for creating a peaceful environment in the country. Ms. Shawana Shah, Director Programs (Da Hawwa Lur) said that she believes the key to a prosperous country is peace and the key to attaining peace is open hearted acceptance of diversity and views of each other. The discussion was summed up giving emphasis on the need to bring peace via a collective effort of people from different communities and also the authorities. 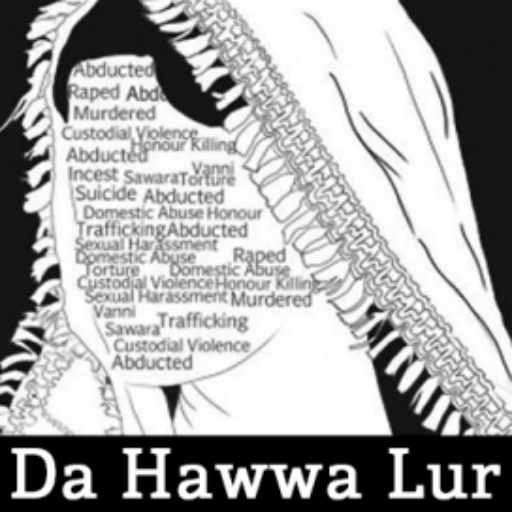 Da Hawwa Lur is a non-profit organization which is working to improve the socio-economic and cultural conditions for women in target areas of Khyber Pakhtunkhwa (KPK), Pakistan, to bring qualitative and long-lasting change in their lives, especially children – both girls and boys.We encourage women to take part in trade unions and we raise awareness of women’s rights.